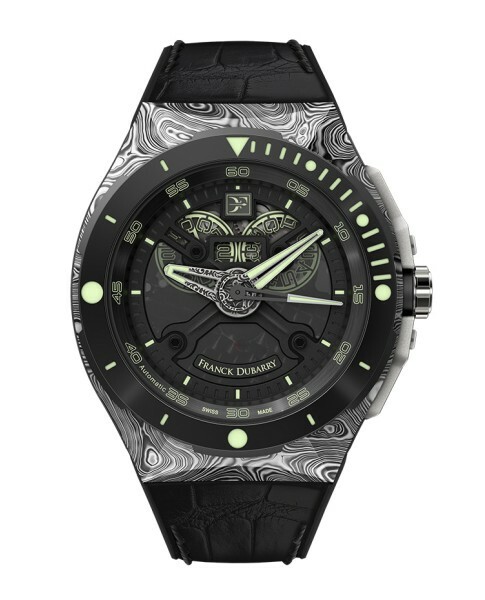 Franck Dubarry brings several creative and revolutionary elements to the diving watch codes. 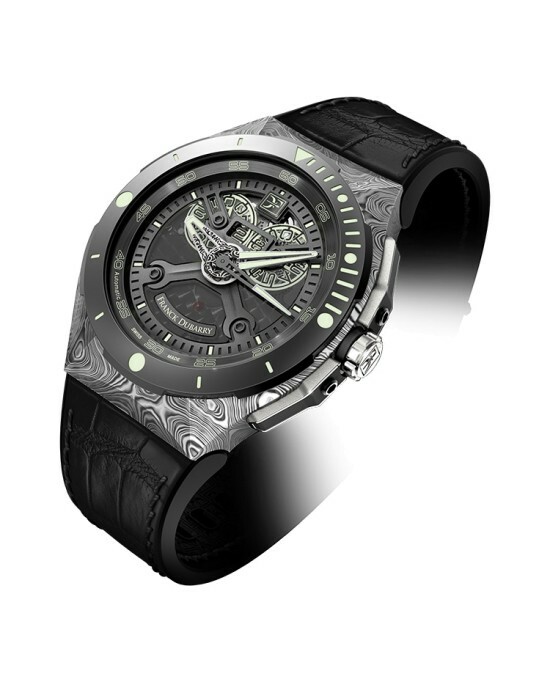 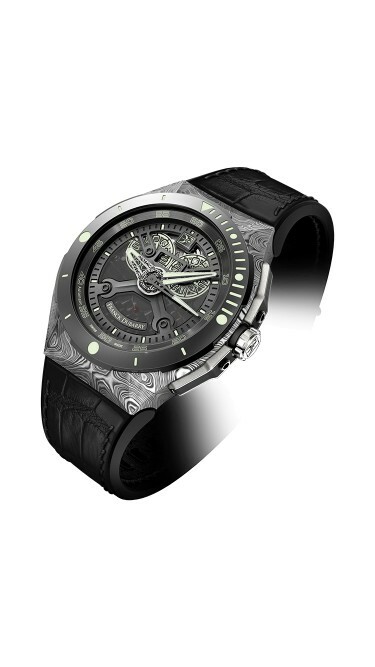 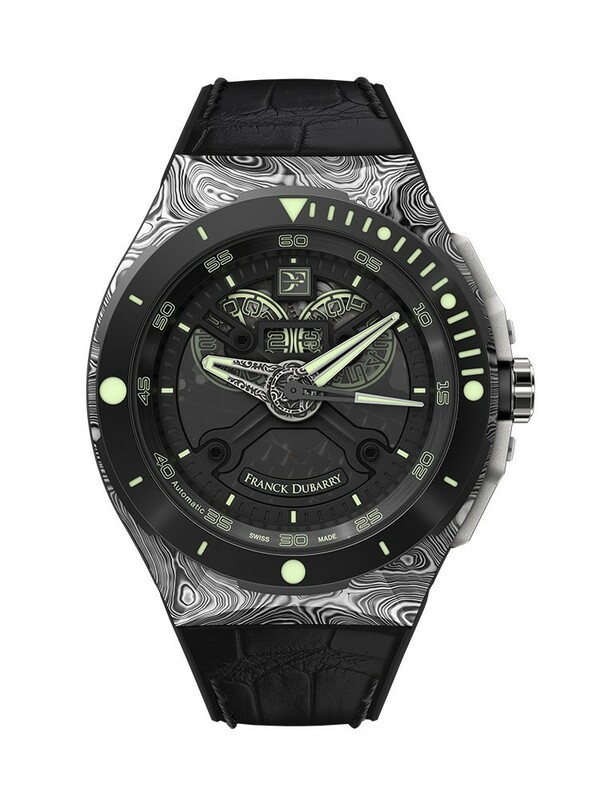 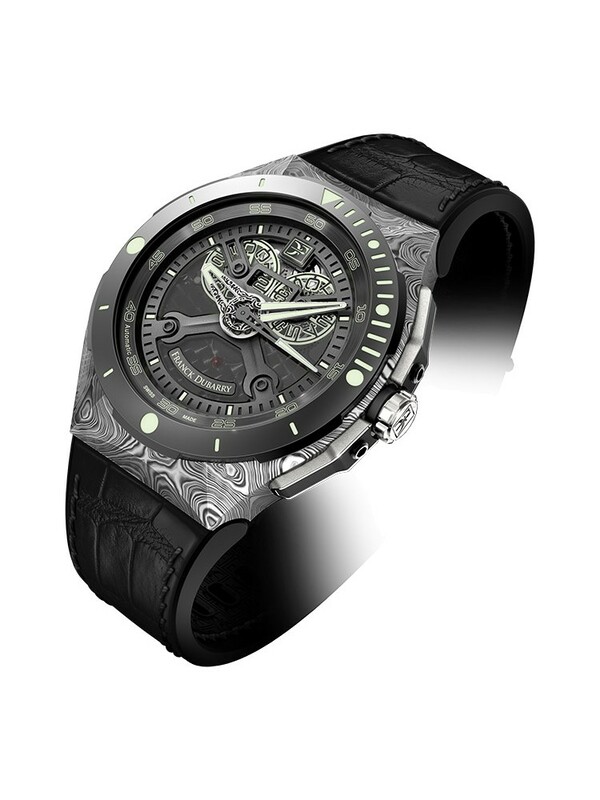 Oversized minute and hour Hands are fully tattooed with a Maori pattern, the case is made of Damascus Steel, bezel is made of aluminum, the skeletonized dial is made of an innovative translucent epoxy resin, a material used for the first time in Watchmaking. 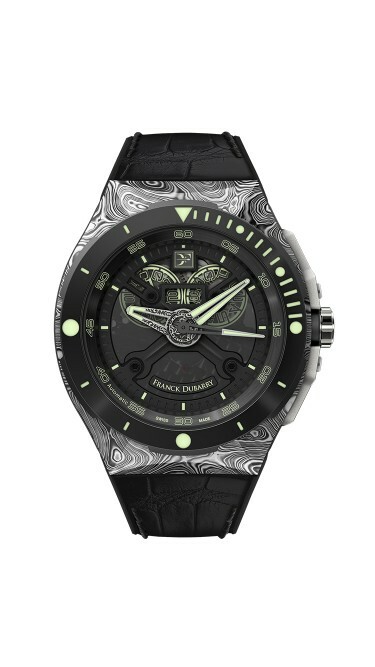 The especially designed Big Date wheels are moved by a DD/14580 automatic movement.